Looking for a unique venue to host your birthday party or private dinner? Our private hire and event venues Kachette and Shoreditch Studios are unique railway arch spaces located in the Shoreditch triangle, London’s bustling club, bar and nightlife district. 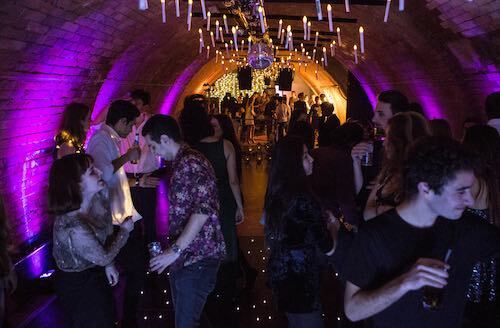 Unlike other venues in Shoreditch that are open to the public every night, our venues are exclusively hired for private parties, weddings, popups or invite only corporate events which adds the appeal of hiring a private space for your party. 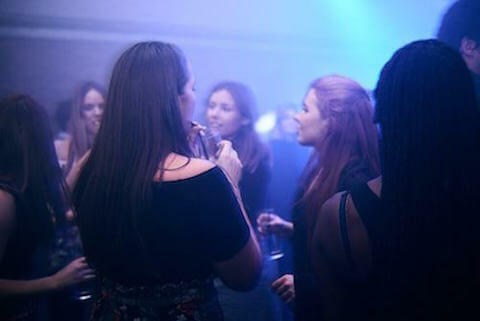 Shoreditch London have over 10 years experience in private and corporate events. Between birthday parties, weddings and bar mitzvahs our venues are frequently booked by major brands from Coca Cola and Google to Nike, Instagram or Playstation. 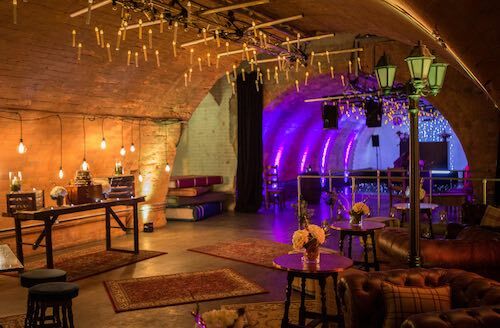 Our flexible ‘blank canvas’ party venues can be transformed for any party theme, you can book any entertainment and you can use the caterer or bar supplier of your choice. 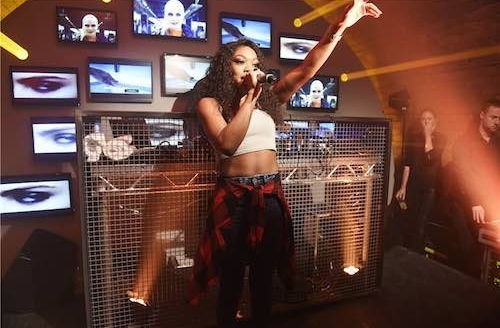 Venue dry hire includes our in-house PA sound-systems and we can also provide a team of event and production support to help you plan your party and setup the venue to your own specifications. Take a look at the party options for our two venues and enquire today to book your party. Kachette’s name is inspired by the French word for ‘hiding space’ Cachette. 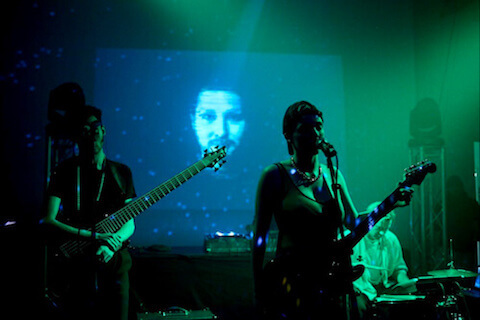 The venue is housed under two live railway bridges at the busy intersection of Old Street and Shoreditch High Street. The historic Victorian era venue is housed in the original ticket hall of Shoreditch Station which operated from 1865 to 1940. Standing reception party for 80 - 180 guests in Arch 1. The venue will be yours exclusively from 10am to midnight. Late licenses available for an additional fee. The back room Arch 2 will be closed off. 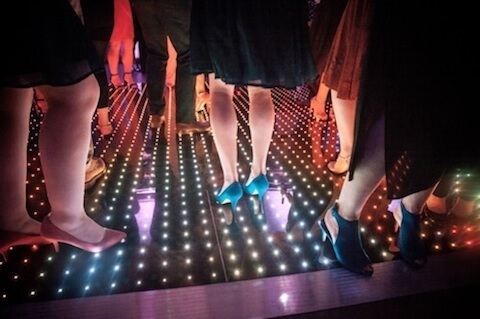 For a party with dinner and dancing, you can book both rooms. Arch 1 can accommodate dinner for 60 to 80 guests. Arch 2 can seat 80 to 110 guests. The other arch will be set up for dancing and a bar. Kachette is equipped with night club quality sound-systems in both arches which can be used for your DJ or band of choice. Alternatively, you can just plug a phone or media player into the sound-system and press play! Venue dry hire rates for Kachette start at £3500+VAT for Arch 1 and £5,000+VAT for a whole venue booking. Ready to book your party ? Enquire now! Shoreditch Studios is a spacious high ceiling railway arch warehouse and photographic studio space with two interlinked studios. The venue is located under the East London railway line on Bateman’s Row. The Studios are booked daily for fashion and photographic shoots or corporate events. On weekends, the blank canvas venue is transformed for private dinners, birthdays and warehouse weddings. Private dinner and party for 100 to 170 guests. Studio 1 can accommodate 170 seated on long tables or 120 seated on round tables. 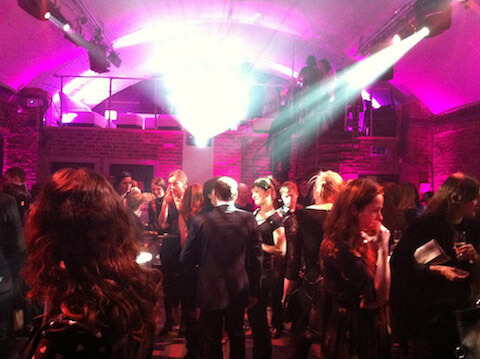 After dinner, Studio 2 can be opened to reveal the party room where you can set up a DJ or band. Studio 1 can then be setup with couches with open access to the party and dance-floor in Studio 2. Standing reception party across Studio 1 and 2 for 120 to 220 guests. Studio 1 can be used for an informal food and drinks reception. After dinner, Studio 2 can be opened to reveal the party room where you can set up a DJ or band. Studio 1 is suitable for background music or live acoustic performances. There’s also an I-pad setup to stream playlists off Spotify if required. The party room in Studio 2 is equipped with a great sound-system which can be used for your DJ or band of choice.